This Department is in charge of General Administration, Recruitment and Serverance, Discipline, Man Power Budgeting, Training and Manpower Development (Capacity Building). This Department carters for the financial accounting needs of the Board in the areas of budgeting payrolling, interpretation and ensuring that the provisions of the financial instructions, regulations, policies and decisions are strictly applied to the letter. Disbursement of any other legally received funds by the board. Posting and supervision of Bursars/accounting staff in all the post Primary secondary schools in the state. Conduct of routine and in-dept, inspection of the Books of Accounts of the Bursars/Schools through surprise checks. Investigation of reported cases of fraud and loss of funds. Interpretation and ensuring that the provisions of the financial instructions, Regulations, Policies and decisions are strictly applied to the letter. Issuance of Treasury circulars to the school to ensure that there are adequate accounting system in the public secondary schools for the control of the collections and disbursement of public fund and for the co-ordinations of the accounting system. Schools Supervision is charged with the responsibilities of general school supervision, monitoring, Discipline and Quality control in all the two hundred and ninety one (291) Public Secondary Schools of the State. It also coordinates the Secondary Education Zones to ensure compliance on government directives and quality assurance in the area of teaching and learning in schools. Monitoring of Resumption of School. Preparation of seniority list of all tutorial staff in SGL 15 and 16. Preparation and maintenance of staff Nominal Roll for all tutorial staff in the zone. Writing of all letters of Appointments, postings and Transfers of principals in each zone. Handling of all inter zonal and intra zonal transfers of staff. Receiving and collection of all zonal supervision reports. Handling of all inter state transfer of students and admission matters. Co-ordination and supervision of the functions of the zonal officers and the local Government Area supervisors. 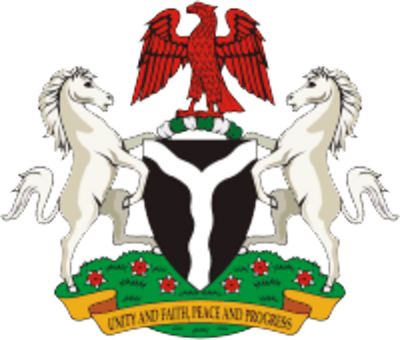 Handling inspection Reports from Inspectorate Division of the Federal and the State Ministries of Education. Handling correspondences from the Ministry of Education. Handling issue of Transfer Certificates Booklets to schools. This Department does formulate and give professional advice on policy matters relating to the development of education sector in the state. It prepares rolling plan and capital budget estimate and handles all matters relating to data collection, planning and research for the board. This Department is charged with the responsibility of providing auxiliary services to schools in the areas of non-academic activities and co-curricular activities. These among others include co-ordination of Board of Governors, Parents Association, Guidance and Counseling, School Based Management Committee etc. GUIDANCE AND COUNSELLING DIVISION: This Division is in charge of Educational, Vocational and Psycho social/personal Guidance in schools. It ensures the organization of orientation programmes, teachers forum, parents forum, career, workshops, prizes/speech giving programmes and the administration of psychological test in schools. The Students Development Division handles school Base Management committee matters. This Department takes charge of all investigation matters assigned to it by the Board. This is mainly in the areas of petition, burglary incidents in schools, natural disaster, land encroachment etc. the department prepares report of investigation and submit to the Board for further action. This Department formulates the syllabus for moral and Religious Education in schools. It also supervises the teaching of this subject, sets the compulsory common promotion examinations in the subject. The Department organizes and coordinates the supervision of teaching/learning of science, Technology and Mathematics (STM) subjects as well as ICT literacy programmes at Secondary School level. The Department also organizes workshops/training for science, computer and Technology teachers as well as lab/workshop attendants for improving proficiency in their various fields. It also organizes Annual National Jets Competition, Science Olympiads, NNPC, COWBELL PTDF, STAN, MAN Competitions in the state. The sports development department aims at providing physical, social and emotional development to students in schools. This is achieved by organizing competitive sports at all levels LGA, Zonal, state, National and international level every year beginning from inter house sports. The department also organize workshop/seminars/ coaching clinics to make the games masters be abreast of the current rules and regulations in sports and games. A very strong body behind sports is Nigerian School Sports Federation (NSSF) who are in the fore front of organizing and developing sports in schools. This also liaise with bodies like shell, Etisalat, coco cola, Milo etc. to sponsor sports with the federal and state governments. This Department is in-charge of the erection and renovation of all building projects in the Board Headquarters, Zone and the schools. It also take care of provision and repairs of furniture in the offices. This Department is charged with the responsibility of carrying out oversight functions on the work ethics of staff of the Post Primary School Management Board (PPSMB) Headquarters, Zones and Schools in the areas of service delivery and brings their observation to the attention of management at various levels. The vision is to develop for the state a disciplined, committed, honest, affordable service providers, highly polished, courteous and accessible to all customers with sustainable capacity for efficient service delivery in offices, schools etc. This unit is in charge of image making and building up of relationships between the Board and its relevant publics whether internal or external. It is also in charge of event management and publicity functions of the Board and is presently headed by Mrs Ngozi Okey Amalu, a Director of Information. The main aim of the “Internal Audit Unit” of the Board (PPSMB) is to help the management in the effective discharge of its duties by furnishing the Board with analyses, appraisals, recommendations and pertinent comments concerning the activities reviewed. The UNIT is a managerial control which functions by measuring and evaluating the effectiveness of other controls within the organization/system. The unit is responsible for reviewing and appraising the soundness, adequacy and application of accounting, financial and other operating control and promoting effective control at reasonable cost. It is responsible for ascertaining the extent to which management assets are accounted for and safe guarded from losses of all kinds. It is responsible for prepayment audit to ensure that any payment to be made should be properly authorized and correctly charged to the stated sub-head or account before it is paid. This includes the monthly salary vouchers prepared by payroll unit. Also the internal payment expenditure vouchers originating from government over-head to zonal offices of the Board and schools go through internal Audits for prepayment audit before they are paid. The Unit routinely visits schools to check the extent to which the school authority comply/adhere to the Boards (PPSMB) rules, regulations and circular especially in financial/accounting matters. The unit as may be directed by the Board carries out full scale audit investigation or cross checking of past accounting books of schools or other department/units with a view to ascertaining the correctness of such records/books and reporting its findings to the Board. The functions of the legal unit of the Board include. a. Drafting and interpretation of legal documents for the Board. b. Investigating, reporting and writing of legal opinion on matters concerning the Board. c. Representing post primary School Management Board on legal matters/cases. d. Administrative work in legal unit of the Board. e. Any other as assigned by the Board.